Click on Activity Stream next to each version to view the transaction history of that particular version. The Activity Stream lists the name of an operation, the date/time, user/recipient name, IP Address, the app used, and whether or not the operation was successful. 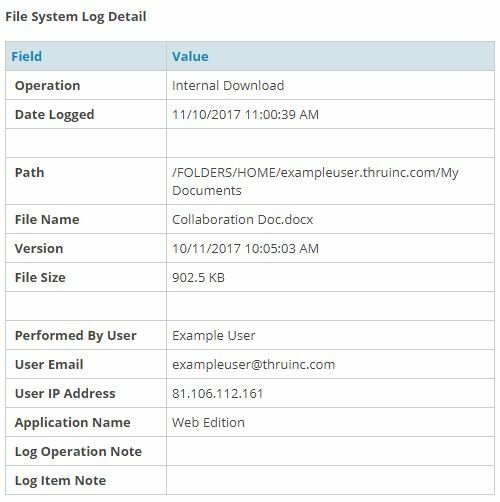 In the example below, the Activity Stream shows that a user has successfully downloaded a certain version using the Thru Web application. To view more details about a transaction, click on an operation’s name (i.e. Internal Download). A window opens that shows the log details of the transaction.